Dorcas Pearl Sudeep, General Secretary for YWCA of Bangalore City. I am currently working as the General Secretary of the Association based in Bangalore. I have my Master’s Degree in Social Work and have specialised in Social Development. I have worked for organisations working for the empowerment of Women and Child Rights. I have personally and professionally assisted women who go through violence. My area of interest is to work for women’s issues. I am proud to be an Indian for various reasons. But I don’t support the harmful religious and traditional practices that are followed blindly by people around me. It is very difficult to digest the fact that unhealthy practices are being followed with our knowledge and we are not able to address them sufficiently. Especially issues related to women are very rigid and pose greater challenge to those who want to oppose and who want to work towards resolving them. I am sharing the real life experience of my very intimate friend. A bubbling young girl at college with lots of dreams and hopes for future, got married at a very young age. She was the first to get married in my group of friends at college and that too even before finishing her graduation. She was more excited only because her family did not have to pay any dowry. Her life suddenly changed as she belonged to a joint family after marriage where she had her in-laws living with her. Quite a large family to cope with. She with her extra good nature got moulded into the family and was very accommodative. Her smartness to help out every member and her generosity to be kind to all helped her to be good in her husband’s book. To her luck, she could continue her studies. She joined a Bachelor of Law’s course which she successfully completed. That brought her joy as a married woman who made it with all her commitments and responsibilities towards her family. Years passed and she could not conceive. Her mother-in-law would pressure her to follow certain religious ceremonies and practices in the hope of getting a grand child. The friend of mine being literate, and with law background, quietly did all that was expected of her. 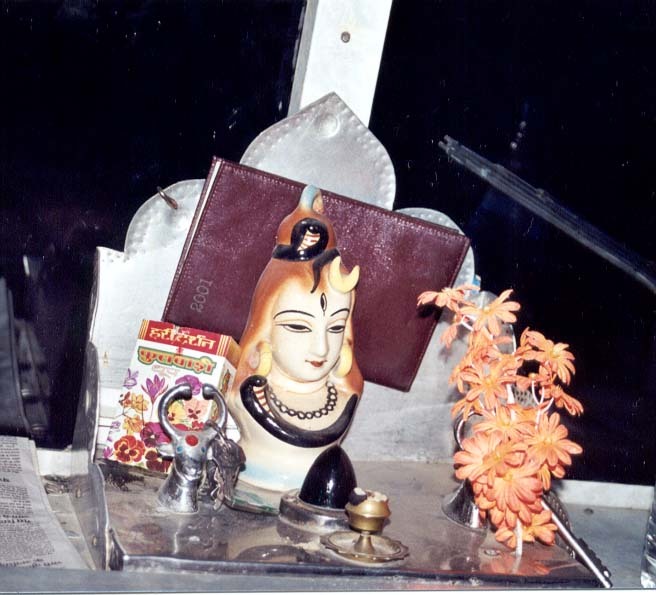 She visited many temples; fasted and offered poojas to different Goddesses; followed all superstitious beliefs and practices; went to pilgrimages and completed all so called religious formalities; visited many sages to take their blessings; met several astrologers and fortune tellers; learnt many mantras (holy prayers) to chant; all just to please her family members and her mother in law especially. She went through stress and strain each and every time she was asked to perform some special pooja. She did not want to hurt anyone and at the same time was drawn to false beliefs. No importance was given to her whenever there were religious functions were held in the family. A child is what mattered to the entire family. Her husband was a mute spectator to all that was happening in her life. After 10 long years of silence, she did take courage and revealed the medical facts about her spouse to her mother-in-law. It was her spouse who was not medically healthy to help her in conceiving. The bitter truth was not welcomed and also not accepted. She still was treated like someone who should perform various religious practices to get a child. It so happened that she planned to shift to another place away from her in-laws. By then her spouse also wanted a break from the small town where they lived. The couple shifted to a big city. The need of rearing a child and getting more awareness on adopting a child became her interest. That is where I came into the picture and assisted the couple to legally adopt a girl child from a home for destitute children. The next form of violence she faced from her in-laws was that they did not welcome the child into the family. The background, especially the religion of the child mattered a lot to them. They became very cold to this bold step taken by my friend. The couple and the child are ostracised today. Such is the community around me. A barren woman is looked down upon. Her own people are not sympathetic towards her. The members of the family pressure a woman to practice traditional and harmful religious practices if she fails to produce a child within reasonable time after her marriage. Women without children very often face social discomfort. They have to experience unpleasant questioning looks from friends and relations. Childlessness causes a great hardship to a woman more than to a man. A barren woman’s very presence is considered as inauspicious on some occasions which add to the stigma of infertility. Violence against women in our Indian society is of great magnitude. Some are identified, highlighted and addressed while several others have become a part of our culture. Unfortunately there is no legal help for women who go through such ‘silent violence’. The factors such as the need to belong to her family, bringing honour to parents by cooperating with the spouse’s family, desire to be socially accepted, being dutiful to her spouse, etc, makes a woman go through this form of family violence. It is not voiced out. My prayer today is that my community should get more educated; become more aware of feelings of a woman who cannot produce a child for some reason and be more sensitive to the whole issue. MAY GOD GIVE US THE STRENGTH TO WORK TOWARDS HELPING THOSE WOMEN WHO ARE VICTIMS OF SUCH VIOLENCE AND WHO DO NOT GET A PLATFORM TO SHARE WHAT THEY FEEL AND HOW THEY ARE HURT. IT IS TIME THAT WE STOP ALL FORMS OF DISCRIMINATION AGAINST WOMEN! HELPING WOMEN TO LIVE WITH DIGNITY SHOULD BECOME PART OF OUR CULTURE. Great article, thank you, Dorcas. I was given an opportunity to visit India last year and I was amazed that we have a lot of similarities and shared a lot in common (religion, culture, high maternal deaths, high neonatal and child deaths, poverty-a huge divide between the rich and the poor, and Gender issues). In Nigeria a barren woman is ostracised greatly and called all sorts of names. It’s a shame that even with the advancement in science and technology, things like these still happen in both countries today and sometimes it hurts so much when a fellow woman, who should understand better the intricacies in conception and child birth are behind it all ; just like her mother in law. I hope women would unite and fight these cultural barriers that impede our development for the sake of our future, our future girls and their future girls.